I have been a big fan of The Green Beaver Company for quite some time! I absolutely love their products, especially their products for children, as I have a little one! Plus they are Canadian, which is awesome, and they believe in providing consumers with products which only contain the best ingredients! Love that! The Green Beaver Company was founded in 2003 by Alain Ménard and Karen Clark, who are husband and wife. After they had their son Joshua, they were inspired to create natural and safe personal care products, as their son, like my daughter, was always drinking the bath bubbles! Alain and Karen, who both have science degrees and backgrounds in chemical and pharmaceutical industries, already had concerns about the ingredients that were in everyday personal care items. After conducting some research and being surprised about what was actually in these items, they decided to develop their own chemical free personal care products at home, and thus The Green Beaver Company was born! The Green Beaver Company is the largest natural, eco-friendly and organic certified (EcoCert) product line in Canada. They manufacture soaps, shampoos, sunscreen, toothpaste, etc. They only use all natural ingredients in their products. Their product line includes ingredients that are edible, vegan and gluten-free, or wild, ecologically wild-crafted from coast to coast or organic Canadian. They believe if an ingredient is not safe to swallow, it should not be placed on the skin either. Their products are free of artificial, synthetic, chemical or petrol-derived ingredients and are not tested on animals. I highly recommend their products for the whole family, especially children. They are all great quality and reasonably priced. For more information on The Green Beaver Company, please visit their website at http://www.greenbeaver.com/. You can find their amazing products at natural health food stores across Canada. In Hamilton they are available at Goodness Me, S&H Health Foods (Limeridge Mall), and Fortinos… to name a few! Do you know what’s in your beauty products? Putting good quality food in your body is just as important as putting good quality products on your skin. 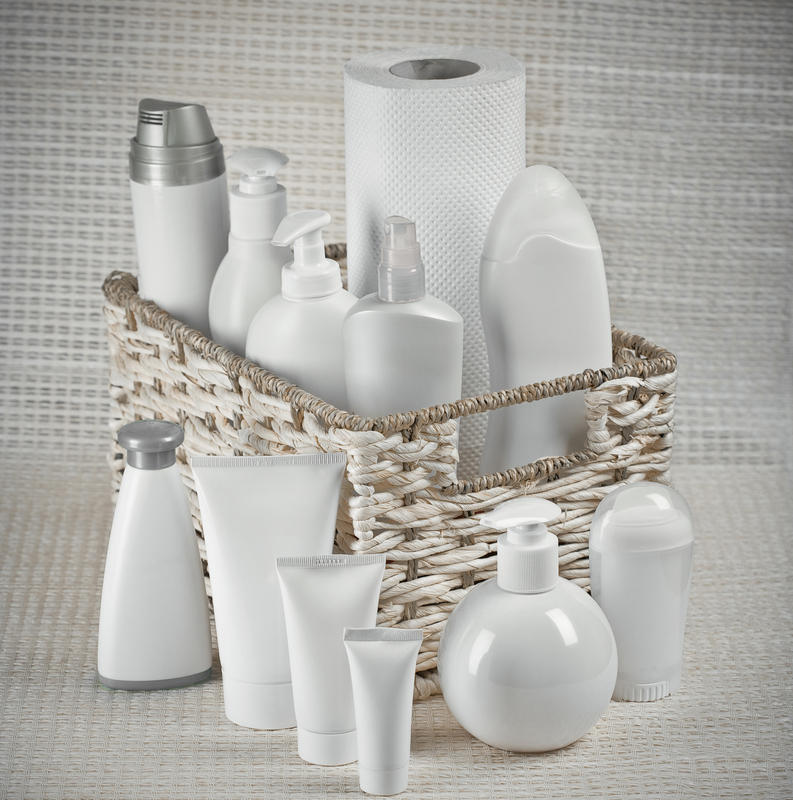 Most people don’t think about the number of creams, lotions or potions that we use every single day. It’s actually quite scary for some of us, if you think about! I hate to admit it but, I am definitely a product junkie however, I am careful when buying products and I do try to purhcase products which have good quality ingredients and don’t contain the major harmful ingredients such as parabens and sulfates. Parabens, which could be listed as methylparaben, ethylparaben, propylparaben, butylparaben and isobutylparaben, are found in most personal care products. They stop fungus and bacteria from growing in skin creams, shampoos, make-up, etc. Even though they provide some benefit, many reports claim that they are harmful, cancer causing, and should be avoided. As a result you will notice that a lot of brands have stopped using parabens in their products as more data is becoming available on their harmful effects. Sulfates, which produce lather, are another harmful chemical which are found in most shampoos and body washes. The problem with sulfates is that even in small quantities, they are irritating to the skin and scalp and have also been found to be damaging to the hair follicle which can stop hair growth. There have also been published reports that claim sulfates can cause cancer and harm the immune system. Once again, you will notice that a lot of main stream and organic brands have stopped adding these chemicals to their products. For a list of the worst chemicals in cosmetic products, check out the David Suzuki Foundation’s “Dirty Dozen’ cosmetic chemicals to avoid”. My suggestion is to always read your labels and be well informed on what you are putting on your skin. If a product does not contain harmful ingredients it will be highlighted on the front label of the bottle. Great places to find good quality products are Goodness Me, Organic Garage, Sephora and the organic section of your local grocery store, such as Fortinos.